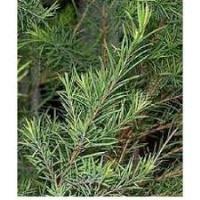 Citronella Java has a well rounded lemon citrus scent having a subtle woody aroma. 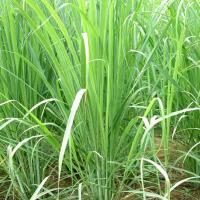 Having the Botanical Name of Cymbopogon Winterianus, the leaves of the plant are steam distilled to extract the oil. 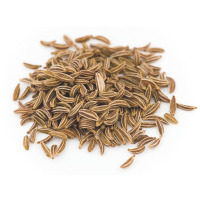 Cumin (Cuminum Cyminum ) is a small annual herb originally found in Mediterranean area. The leaves of plant are narrow and deep green in color. It is about 20 inches in height and the tiny flowers are pink or white in color. The seeds are small and oblong. The plant is known to the world since Biblical times and is used for its digestive properties. Cumin is used as a medium of paying taxes by the Pharisees. Feudal lords paid serfs with cumin, in the Middle Ages. The oil is used as a cure for headache by the Egyptians. Cumin serves as an important ingredient in various Mexican dishes and Indian curries. Chemical Composition : Cuminic, cymene, dipentene, limonene, phellandrene and pinene are the main chemical components of cumin oil. 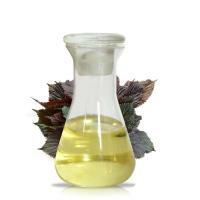 Further, the oil also contains 32 fatty acids (99.9%) that are identified in the fixed oil. The major fatty acids that present in the oil are linoleic acid (50.2%), oleic acid (19.9%), margaric acid (10.3%), cis-11,14-eicosadienoic acid (7.7%) and stearic acid (2.5%). 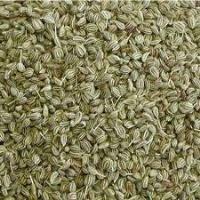 Ajwain oil is erected by steam distillation of the crushed seeds of Ajwain. The ajwain oil is a natural source of thymol. Ajwain oil is extracted from the Seed of the Trachyspermum copticum plants. 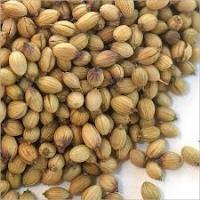 The acetone extract of ajwain seeds reported better antioxidant activity for linseed oil as compared with synthetic antioxidants such as butyratey hydroxyl toluene and butylated hydroxyl anisole. The Indian pharmacopoeia requires ajwain oil to contain not less than 40% thyme and a minimum congealing point of 49.3°C. it is being used as a medicinal plant for its antispasmodic stimulant, tonic and carminative properties. This valued considerably in medicine on account of the presence of thymol. The oil of ajwain is an almost color less to brownish liquid with characteristic odor and a sharp hot taste. 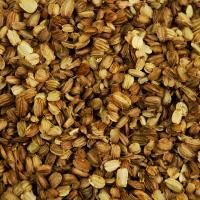 Ajwain is called omam in the southern part of India. Ajwain also enjoys some popularity in the Arabic world and is found in berbere, a spice mixture of Ethiopia which both shows Indian and Arabic heritage. Camphor oil is derived the wood of the camphor tree. 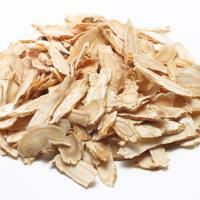 It is extracted from the wood by distilling it and separating it from the wood pulp. The tree grows mainly in China and other subtropical Asian countries and southern Europe. In the United States, it can be found in Florida and California. The strongly scented oil can be toxic: care should be taken to use it safely. The oil is Extracted through the steam distillation. The oil is very useful for anti-inflammatory, ant-septic and balancing. The plant content substances, which upon contact with water form a protective layer that covers the lining of the upper respiratory system. 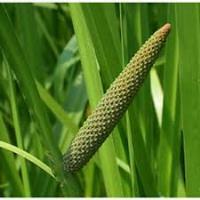 Calamus oil extract from the fresh roots or unpeeled dried roots from the (Acorus calamus) plant. It has a warm and spicy scant. The calamus rtiizomes have been used in many different ways. 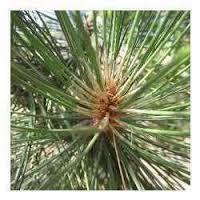 It has been used medicinally for its relaxant, spasmolylic and hypertensive properties. 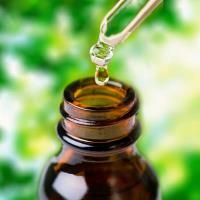 Its essential oil is reported to have spasmoylic neuron pharmacological and antibacterial activity. The oil is obtained by the steam distillation. 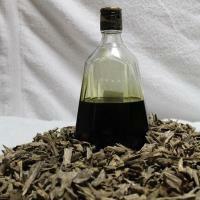 Calamus oil is widely used in flavours for liquors as well as in fine penuries caimans. Amber Common Names- Amber refined, Amber Essential Oil, Amber Oil Amber oil is extracted from the resins of the tree and the method used for its extraction id dry distillation method. Amber is actually a semi solid mass of the resins and gums. The modern name of amber has originated from the Arabic word AMBAR which actually means ambergris. Ambergris is the waxy and a perfumed substance which is formed in the intestines of sperm whales. 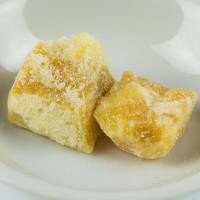 The oil is manufactured by blending the amber in a base of beeswax, essential and carrier oils. This oil can be created synthetically and by the natural resins also. It is used to in the perfume industry at a very large scale and in the manufacturing of soaps. Blends With: Geranium, spruce, pine, cedarwood, galbanum, myrrh, frankincense, cypress, aniseed, lemon, clove, orange, rose absolute, cistus and benzoin. Rosemary oil is extracted from Rosmarinus officinalis and is considered one of the most popular essential oils due to its various health benefits. This oil has a pronounced action on the brain and the central nervous system. Due to its amazing fragrance, it is often used in the meditation process. 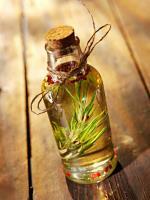 Further, Rosemary oil also helps with headaches, migraines, neuralgia, mental fatigue and nervous exhaustion. It can help for arteriosclerosis, palpitations, poor circulation and varicose veins. Further, with the help of Rosemary oil hair and scalp health can also be improved.Rosemary oil is extracted from the fresh flowering tops by steam distillation. Rosewood essential oil is extracted from wood chipping part of the plant using steam distillation method &amp;amp; it is considered as an effective cure for various skin infections. As a colorless to pale yellow liquid, it comes with characteristic and sweet odor. Blends With - All citrus and floral oils. The chemical composition of the oil includes a-pinene, camphene, geranial, neral, myrcene, limonene, 1,8-cineole, linalool, benzaldehyde, linalool oxide and a-terpineol. Angelica Root Oil is derived from Angelica herb that is cultivated for essential oil extraction in countries including Germany and Hungary. The whole plant is aromatic and grows to about six feet high and has dramatic spherical heads of tiny flowers. The pungent root is used extracting oil, which acts as a cleanser &amp; detoxif . BLENDS WITH: Patchouli, sandalwood, clary sage, vetiver, frankincense, cedarwood, neroli, petitgrain, lemongrass, orange, lime, lemon, mandarin, bergamot and grapefruit. CONSTITUENTS camphene, a-pinned, B-pinene, d-3-carene, sabinene, a-phellandrene, limonene, myrcene, B-phellandrene, trans-ocimene, cis-ocimene, p-cymene, copaene, bornyl acetate, terpinolene, terpinen-4-ol, B-bisabolene, cryptone, humulene monoxide, pentadecanolide, tridecanolide,linalool and borneol. It is used in pharmaceuticals and Perfumery as a Base. The angelica or archangel is an aromatic herb reaching over two meters in height. It is a short-lived plant, blooming only once before dying. It has large, hollow, fluted, reddish stems that bear large, serrated leaves separated into leaflets. The inflorescences – composed of a dozen yellow-green flowers arranged in large umbels – bloom in July and give way to long, flattened fruits. The seeds of angelica are harvested like dill seed: the umbel-bearing stems are cut and dried in the open air when the fruits turn brown. 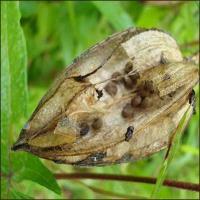 The picking process is repeated several times, as and when the seeds ripen. The essential oil obtained from angelica seeds is herbaceous and spicy with an earthy facet. The roots also produce an essential oil with a different odor. Angelica Seed Therapeutic Essential Oil is anchoring, restorative, and strengthening. Botanical Name: Angelica archangelica L. Origin: Hungary Family: Apiaceae Aroma: Spicy, herbaceous, earthy. Perfume Note: Base to middle Method of Extraction: Steam distillation Source: Seed Properties: antispasmodic, carminative/digestive, depurative, diaphoretic, diuretic, emmenagogue, expectorant, febrifuge, nervine, tonic. Main Chemical Components: Phellandrene, pinene, limonene Blends Well With: Patchouli, clary sage, citrus oils, frankincense. Bergamot oil is subtle and uplifting, uniting the one of the most enticing perfume aromas with the possibility of powerful healing effects. 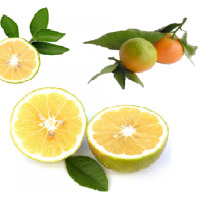 This light greenish-yellow bergamote has fresh, orange-fruit scent, with a slightly spicy balsamic undertone. The oil is cold-pressed from the outer peels of bitter oranges. Bergamote oil is foremost considered a miraculous neuro-tonic and a powerful helper against depression caused by fatigue or unreleased tensions and frustrations. Constituents- Limonene, nerol, linalyl acetate, linalool, (–)-linalyl acetate (with optical purity &gt;99.9%), (–)-linalool, (+)-limonene and -terpinene. Blends With - Most essences, is used as a popular top note in perfumery, Neroli and Lavender. Easy shopping experience! Pricing is attractive! Lots of products to choose from and great pics! Our mainstay is the Natural Essential Oils that we deal in. Amarnath Exports is one of the world leading manufacturers and supplier of natural essential oils, concretes, absolutes, natural Indian attars, fragrance oils and floral hydrosols. A name for complete solution of all your essential oil needs with 100% purity and complete satisfaction. Established in 1979, we have been in this field of business for around three decades; in which time we have gained much valuable customers in different countries due to our good services. This is the main goal of our company cause of the precious customers. Our KANNAUJ based group established in 2009 is ascertaining its firm foot in the world market of leading Exporters. Our company's governance is in the hands of our multitalented and efficient CEO MR. ACHAL TANDON. His devotion towards the company and his never-ending spirit are our assets. We are making steady progress and the day is not far when we will be the topmost company dealing in wholesale essential oils and also the numero uno Essential Oil Manufacturer & exporter in world.